A holiday is always a great opportunity to get away from the bustling city life. If you are keen to visit Hainan and explore the sights and sounds of the tropical rainforest, choosing Baoting as your adventure vacation destination is a great idea. The place offers lots of activities for both nature lovers and relaxation seekers. 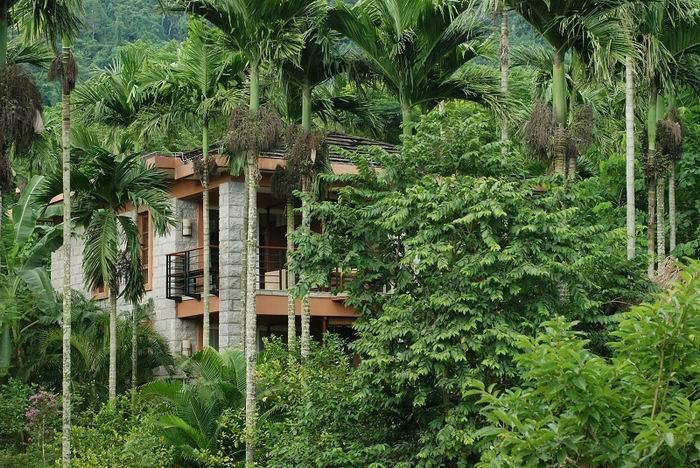 Here WOS has listed three of the best hotels in Baoting, where holidaymakers can stay and fully enjoy the wonder of a rainforest vacation in the area. Located northeast of the Baoting Li and Miao Autonomous County, the hotel sits peacefully at the foot of the all natural Qixian Mountain, making it the region’s premier five star property offering a perfect blend of tranquil green environment and modern luxury. This luxury resort consists of 222 elegant spacious rooms and villas which overlook the surrounding rainforest. There is plenty to do and see when staying here. A wide selection of outdoor activities, which include mountain-biking and hiking up the wonderful Qixian Mountain can be indulged in while staying at the resort. For guests who are in the mood to relax and rejuvenate, taking in the rainforest spa, reading books near swimming pool, doing yoga in the forest and enjoying traditional Chinese medicine are also marvelous ideas. At dinner time, it’s recommended guests enjoy a meal at the Jackfruit Garden. As one of the most wonderful restaurants in Baoting, providing a real jungle culinary adventure, guests will love the open-sided eatery. Here, you will get great views of the rainforest while being able to enjoy delicious western food. It is the perfect spot for travelers seeking the ultimate in eco-tourism: from overlooking the Mt. Qixian, to relaxing in a variety of hot springs, to trekking through the rainforest, to relaxing in a luxury room surrounded by the wonders of nature. 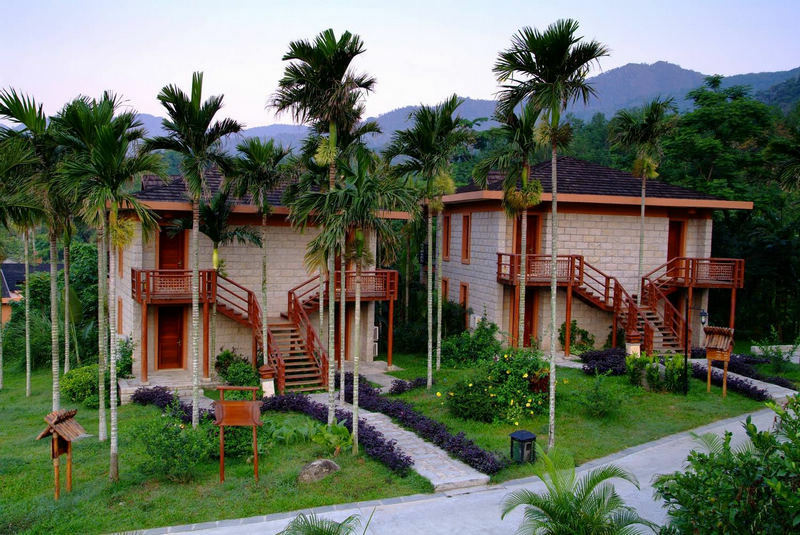 The Litchi Garden Rainforest Hot Spring Resort is one of the best places to get away from the concrete jungle and reconnect nature when staying in Baoting. The Resort consists of 148 guestrooms which are designed to maximize the experience. As the hotel is nestled at the base of Mt.Qixianling, a lovely expanse of green, those who are looking for something a little less rowdy can take a cooling stroll in the evening. Here you don’t have to fear any large animals, poisonous snakes, or other harmful elements. The tree frogs might be a bit loud, but that’s part of their charm. If what you’re looking for is a conveniently located hotel in Baoting, no other hotel can compete with Yanoda Rainforest No.1 Hotel. Built in 2011, the hotel is situated only 35 km from Sanya City, offering easy access to the city’s attractions and activities. For sightseeing options and local attractions, the hotel is literally steps away from the Yanoda Rainforest Tourism Zone. Yanoda Rainforest No.1 Hotel offers 23 rooms, all tastefully furnished to provide the ultimate comfort facilitating relaxation and unwinding after an action-packed day.